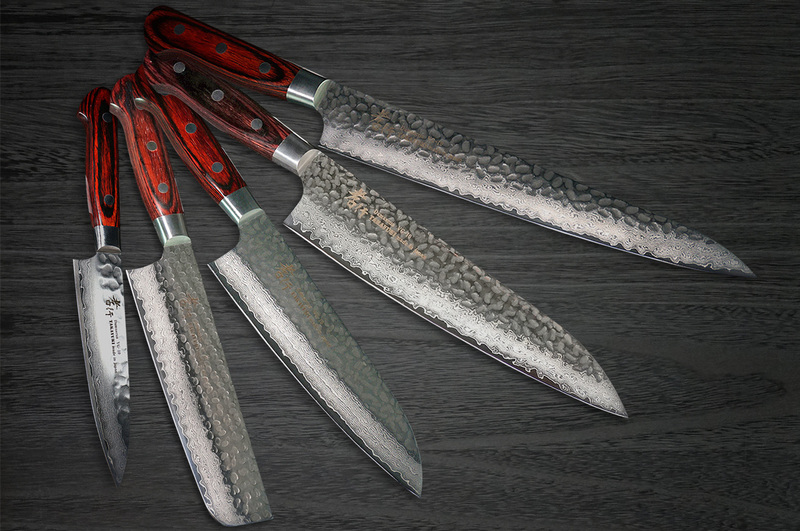 In response to our customers’ request for a 150mm petty knife, new popular line SETs of SAKAI TAKAYUKI 33-Layer Damascus series have gotten released. 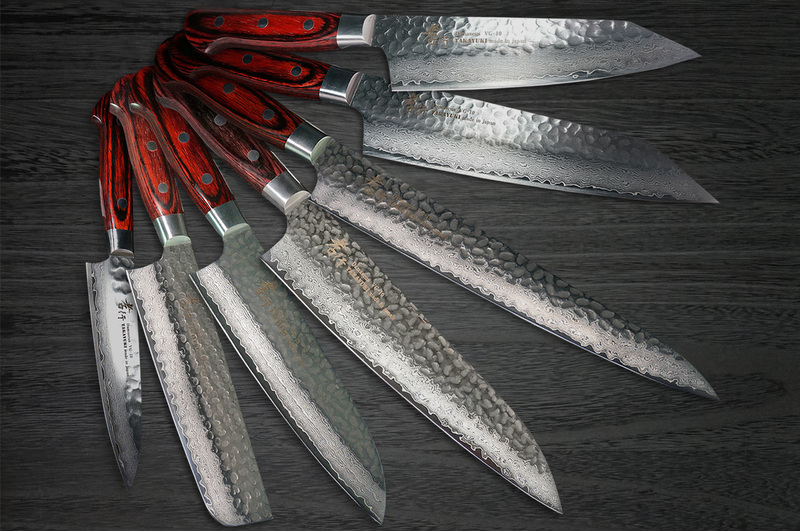 Please don’t miss the Best Damascus SET at a reasonable price, though the quantity is very limited. 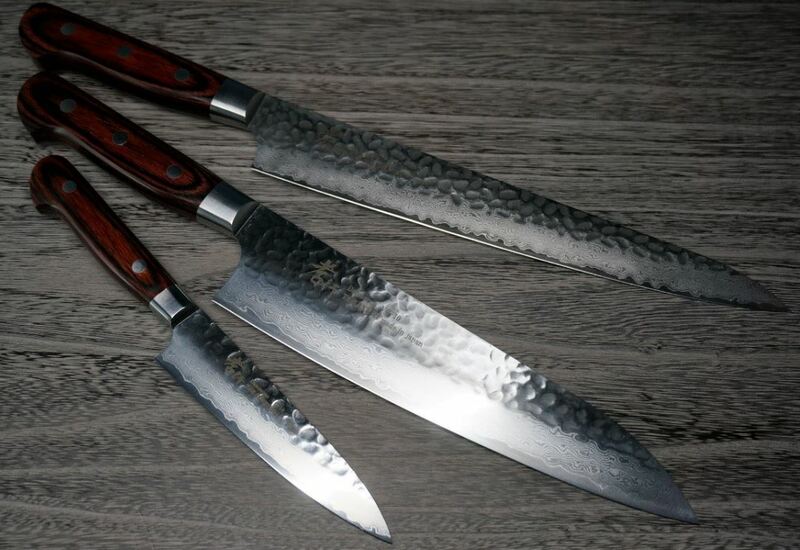 The free shipping service is available! 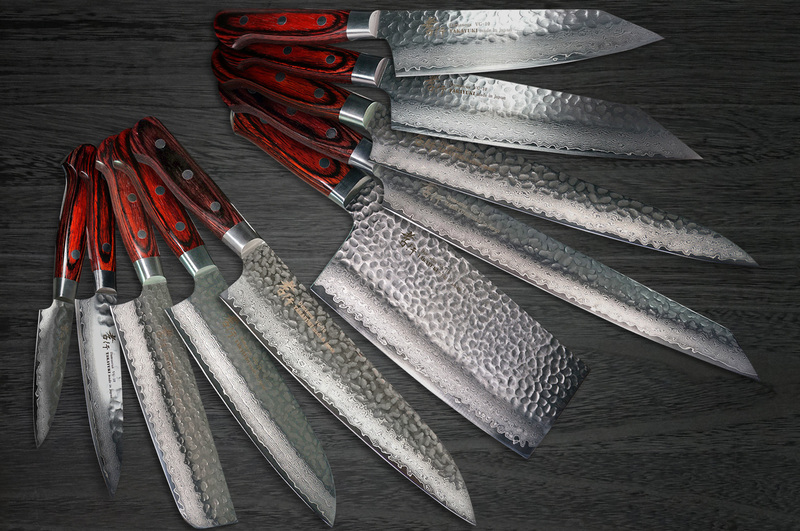 the BEST popular line SETs of SAKAI TAKAYUKI 33-Layer Damascus series have get available at a reasonable price for a limited volume. 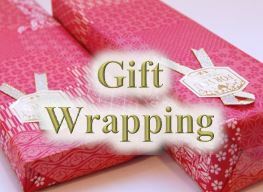 For your loved one, the Gift Wrapping service is available right now to decorate the SET testefully.